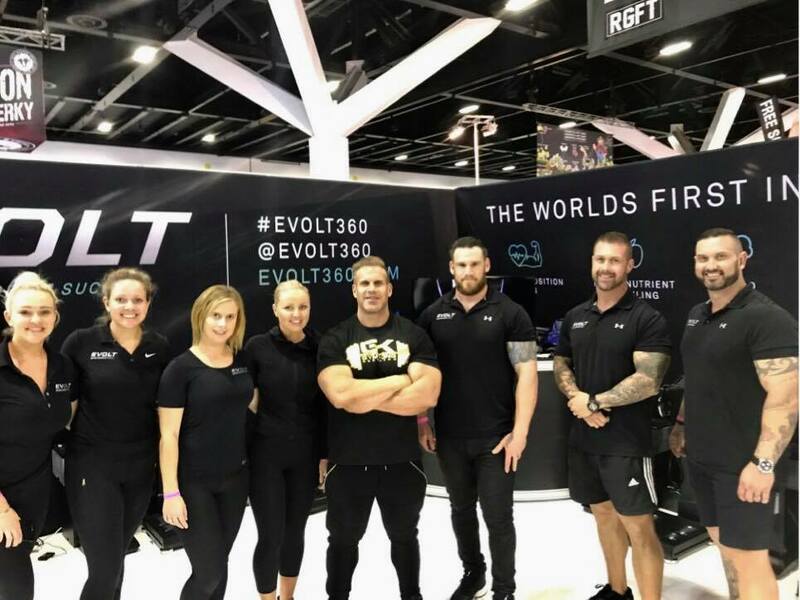 The Team at Evolt had a very successful weekend at the recent Fitness Show held in Sydney last weekend, being the most popular stand amongst the exhibitors in their busiest Expo yet. The release of Evolt’s unique digital owner reporting & challenge dashboard was a very popular showcase for Fitness business owners, providing them with the very first digital, automated challenge platform. This is the first time that an automated system has been developed using BIA to facilitate fitness challenges. The Evolt Team also released its online owner’s Certification Course for businesses to provide them with everything they need to know from the science behind body composition to the marketability of the Evolt 360 and its unique eco-system. Life Fitness Australia and MYZONE, two of the most respected fitness brands in the market, also announced their collaboration with Evolt to provide the health and fitness market with the latest Evolt technology and unique digital insights. The Evolt Team scanned thousands of fitness enthusiasts at the Expo and are looking forward to showcasing the most innovative product on the market today at other Expos around Australia in 2018.